The Taglioni of the North. Imperious and formidable, Katti Lanner was a famous ballerina, choreographer and dancing mistress who taught many English ballerinas in the late nineteenth and early twentieth century. Her career lasted until almost until she died at seventy-eight! Prima ballerina Phyllis Beddells recalled 77-year old Katti Lanner yelling at the corps de ballet if there was the slightest defect in their work or if they were out of line. Lanner didn't realise that she could be heard by the audience in the front. Born in 1845 in Vienna, Lanner was the daughter of the great dancing teacher Josef Lanner. She began dancing at eight and trained at the Vienna Court Opera where she had lessons by Pietro Campilli and Isadore Carey. When she was 16, the young ballerina obtained her first starring role in the pas de deux in the ballet, Angelica. 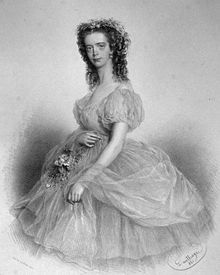 The great ballerinas Fanny Elssler and Fanny Cerritto were impressed with her dancing and Lanner was soon given more starring roles, for example, as Myrtha the Queen of the Wilis in Giselle in 1852. Famous Danish choreographer Bournonville chose her to play the leading role in the ballet Der Toreador. After her beloved mother's and brother's deaths, Lanner decided to leave Vienna and went on to have a glittering career in Germany, where she was complimented by the King of Bavaria, New York and Lisbon, where the king gave her diamonds. She was nicknamed the 'Taglioni of the North' because of her similarity to the splendid Marie. She formed her own ballet company, taught ballet in Hamburg and produced ballets but she is known mainly for her ballets in England today. Chosen to be the dancing mistress at the National School of Dancing in England when she was almost 50, Lanner settled in London with her husband Johann Geraldini and their three daughters, Sofia, Katharine and Albertina. Unfortunately, the marriage was not happy and he returned to Vienna. Apparently, Lanner preferred the Neapolitan dancer Giuseppe Venuto de Francesco and their relationship caused some scandal. In the late 1880's, Lanner began teaching ballerinas and producing spectacular ballets at the Empire Theatre in Leicester Square, such as Rose d'Amour about a fairy escaping a malignant elf who is rescued by Cupid. This included a Hungarian wedding dance and a Chinese dance of tea-flowers. At the end of the ballet, all the flowers were massed into a huge bouquet. The great C. Wilhelm's costume designs also featured in this ballet and several others. Watching Cleopatra in 1889 must have been a delight! Maria Cavallazi starred and French composer Herve wrote the music for this amazing production. According to Ivor Guest, the spectacle was 'magnificent indeed, with the stage filled with a colourful throng of Roman soldiery, Nubian's, Egyptians and Greek slaves'. The Girl I Left Behind Me in 1893 about a young soldier who joined a Highland regiment in Burma also stunned audiences with its beautiful scenes. A critic in the Sketch called it 'a carnival of colour, of movement, of gaiety'. One fun ballet that Lanner produced was Katrina in 1894. This featured ballerinas 'dressed up to represent cats in their nightly flings on the tiles' according to Pick-Me-Up magazine. The ballet starred Miss Ada Vincent as Princess Frou-Frou, a fairy cat, and Miss Lizzie Vincent as Tom Grey, a cat bridegroom. You can view pictures of scenes from the ballet here and see why some of the critics were especially impressed by the cat costumes. Lanner loved cats herself - she had five of them! Lanner died peacefully in 1908 on a Sunday morning at 9:00. She didn't know that her faithful dog predeceased her by a few hours. Many of her colleagues and her pupils attended her funeral and she is buried at West Norwood Cemetery. A Good Place To Meet Potential Husbands? William R. Martin, the founder of men's clothing store Rogers, Peet & co, was concerned. He watched the hordes of young working women settling in New York and worried about their dismal lodgings and boarding houses. Where could these shopgirls and clerks find nice, suitable young men to marry? 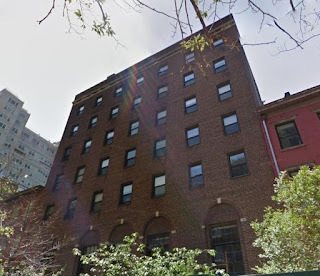 He decided to build a residence on Hudson and West 12th streets which would provide them with respectable lodgings so that they could entertain 'desirable, young men' in the parlour, and he called it The Trowmart Inn after his son Trowbridge, who had tragically met an early death. Women who stayed at the inn had to meet certain conditions. They had to be under 35 and earn less than $15.00 per week. A bed in one of the 228 dorm-like rooms cost as little as 50 cents while a more private room could be obtained for $4.50 per week, including breakfast and dinner. 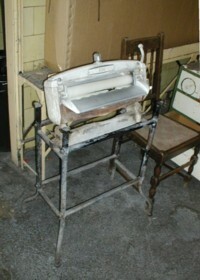 The young women also had an ironing room on each floor and laundry was also provided. There were six parlours where the girls could entertain men and there was no curfew, but men were not allowed upstairs. The young women also had a library and a full-time nurse was in attendance. Dances were held three times a week. Although the majority of young and single working men lived with their families in the Edwardian age, several left home for the bigger cities, especially London. Here, they often boarded in lodgings where they were provided with meals and perhaps cleaning. They were not allowed to cook in their rooms. Many of these lodgings were cheap and nasty, so philanthropists started to provide alternatives for these men. Some of these sound even worse! Rowton Houses were built by Lord Rowton, for example, so that men didn’t have to stay in squalid lodging houses. Here, the young men paid a shilling for a cubicle, or a half and crown for a special which George Orwell in a later era described as ‘practically hotel accommodation’. There were strict rules in these houses. Cooking and playing cards were not allowed, and there was no entry before 7 p.m. and the boarders had to leave before 9:00 a.m. each day. Alcohol was forbidden and men could be punished for wetting their beds or other misbehaviours. Jack London who lived in the Tower House in East London in 1902 thought that it was packed with life that was ‘degrading and unwholesome,’ but George Orwell described the Rowton Houses as ‘splendid buildings’ and thought that they were better than the other available accommodation. Sometimes, men who worked in particular occupations were actually provided with living quarters. The London Road Fire Station in Manchester, opened in 1906, had flats for single men and families. They were well-cared for, with a laundry, gymnasium, billiard room and a playroom for the children. This building with its sculptures by Milson seems to have been quite an enlightened idea for its time. Wealthier single men, such as MP’s, often had pied a’ tierres in London in buildings like the ‘bright and charmingly decorated’ Marlborough Mansions with its coffee rooms. There were usually servant’s quarters and meals were sent up from restaurants or kitchens. Mansion flats were very popular with their elegant rooms and maid and laundry service. Jack Worthing in The Importance of Being Earnest lived in the luxurious Albany in London. This was the haunt of aristocrats and the very wealthy. Lord Byron famously carried on his many affairs there in earlier times. The Albany is the epitome of elegance with its high ceilings, large windows and light-filled rooms. Some of the occupants complained that their apartments were ‘cramped,’ however. This would definitely have been my choice! I am busy at the moment planning renovations but I hope to write a new post soon!